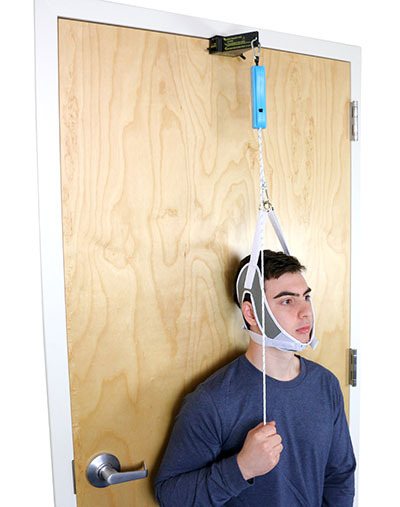 Over the door traction is an inexpensive physical therapy device that is a convenient and optimum way to administer neck traction to yourself in the comfort of your own home. If you have benefited from cervical traction in a physical therapy clinic, over door traction can help you maintain the gains you made with your physical therapist or it can simply be used to decrease neck pain by providing gentle neck traction. Replacement head halter for use with NeckPro overdoor traction system. Halter Only.